Welcome to FIRESTORM FAN’s part of the Crisis on Earth-Blog: The DC Challenge! 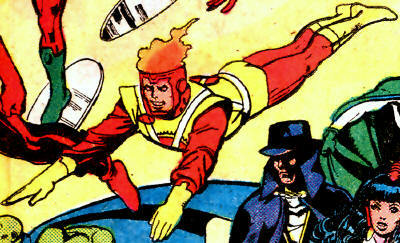 FIRESTORM FAN is the source for DC Comics’ Nuclear Man! You’ll find anything and everything Firestorm-related here. Things such as merchandise, comics, toys, apparel, cartoons, news, creator interviews, and commentary about the character. If this is your first time here, welcome aboard! If you’re a regular, I think you’ll enjoy this crossover event. Today and throughout the next few weeks on comic book-themed blogs across the internet, DC Comics characters are being spotlighted in a series of challenges. In my case I’ll be representing Firestorm, my all-time favorite superhero. Your DC Challenge, if you choose to accept it, involves visiting each of these various blogs and tackling their particular challenge. Your FIRESTORM FAN challenge is the crossword puzzle below. 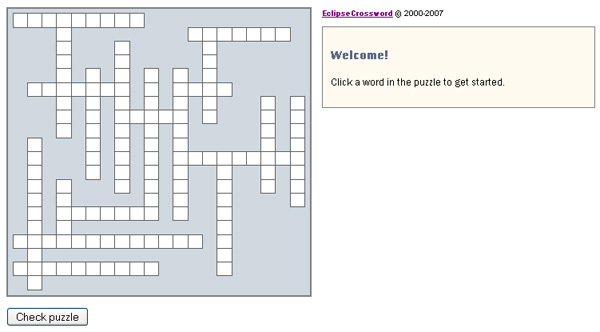 I couldn’t embed the crossword puzzle itself, so you’ll have to click the image to be taken to the interactive puzzle. Each question in the puzzle relates to either Firestorm or a character participating in this crossover. Just a heads-up, I removed any spaces or hyphens from the answers. For example “Captain Amazing” would simply be “CaptainAmazing”; or “Locust-Man” would simply be “LocastMan”. Once you’ve finished the challenge, be sure to investigate the other links beneath the puzzle. Have fun! Hope you enjoyed the crossword puzzle! Now you’ll have to work your way through a few of the blogs below if you want to reach the goal-page featuring an obscure George Pérez pin-up of every major character in this crossover. Some of these blogs are participating in the crossover today, others will be in the coming weeks. Visit them now, visit them later, visit them often! Posted in: Comic books, Crossover, Jason Rusch, Links/websites, Professor Martin Stein, Ronnie Raymond.